Having only officially released just three tracks on the market, Idle Hours are making their way through the Manchester indie music scene, building their way up to the surrounding areas. A key aspect of Manchester, is that you’ll never fail to find the uprising indie talent in each corner, one of which is Idle Hours. The four piece outfit formed of Jack Waldron (Vocals, Guitar), Alex Needham (Bass), Tom Ashton (Guitar, Backing Vocals) and Jimmy Brown (Drums) are described as a blend of surf-pop, infused with tinges of indie rock, catchy melodies and impactful lyricism. Meeting at University and forming in 2017, the band released their debut ‘Powder White’ in April this year influenced by the likes of Blur, Artic Monkeys and Bloc Party. Soon after releasing second single ‘TV Crush’ in May, the group band added to their live performance list playing venues along the likes of Zombie Shack and Jimmy’s whilst also venturing out to Liverpool. As a band also shortlisted for the opportunity to play Truck Festival, it’s no surprise the quartet have played headliners at Music events such as Friday Night Live and Indie Week. Now releasing third official surf-pop single ‘Happiest Place On Earth’, the band are set to support Deco at Gulivers this Saturday (3rd November). If upcoming indie deviations are to your taste, take a look at Idle Hours for your next indie playlist addition. Chapter and Verse bring an indistinguishable dark alt-rock power kick, spread across their current EP and single releases. With a concrete foundation in every song created by drummer Ash Morton and Bassist Jonny Hopwood, and cleverly layered guitar riffs added by Darren Gosling, the music itself already acts as cleanly executed basis. Lead vocalist Daniel Carter helps top off each track with a distinct vocal tone, helping them run forward with their atmospherically full releases. ‘The Wolves Back Home’ EP already features the bands strongest contenders ‘Slave’ and ‘The New Breed’, but also includes the slower hidden gem ‘Electric Tongues’, the more softly emotional side of Chapter and Verse yet to be released further. Not only is their music exceptional, but their live shows are nothing to dismiss either. Everything you hear throughout their intense discography can be replicated live, if not even better than the recorded production. From fantastic harmonies to excellently exuberant stage presence, the British quartet have the whole package. Currently leaving their mark on the British scene, the band are consistently touring, having already performed with the likes of Courage My Love and Dream State in the previous 6 months alone. Not a track that has been produced has given any indication of a let-down and it is highly anticipated that their future music will only push them further. If you don’t see or listen to Chapter and Verse now, you certainly will soon. If you haven’t heard Stand Atlantic yet, you will soon. With a groundbreaking new EP ‘Sidewinder’ released late last year and featuring on our top 3 bands about to break in 2018, these guys are set to be breaking boundaries in the following year. 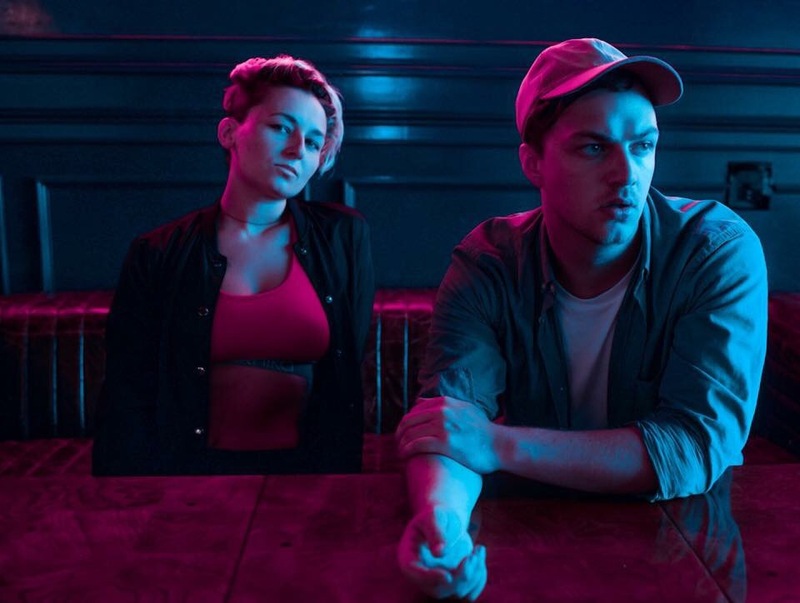 The three-piece have been sending waves across the music scene in both their home country of Australia and overseas here in the UK after gaining further recognition from touring with bands along the likes of New Found Glory and ROAM. Made up of lead vocalist/guitarist Bonnie Fraser, bassist David Potter and Drummer Jonno Panichi, Stand Atlantic fall musically into the range of alt-rock with their strong ability to create a heavier pop/rock vibe with its own individual aspect. As well a s this, Stand Atlantic have raised the bar with their polished musicianship and musicality both on recording and live on stage. Yet, not only have Stand Atlantic already shown they have their potential, but they have also reached a few achievements as well. They not only became the first Australian band to be signed to Rude Records, but their standout EP ‘Sidewinder’ reached number 31 on the ITunes chart at its release! Definitely take the time to check out Stand Atlantic. While the band may not have any tours announced currently, you can listen to their EP ‘Sidewinder’ below and check out their social media for updates!